As a professor of Japanese studies currently conducting research in Japan, I closely followed the preparations for your statement on the 70th anniversary of the end of World War II (see “Requesting a WWII apology for the long forgotten: the Japanese people,” Hotline to Nagatacho, Aug. 12). Call it “professorial habit,” but I couldn’t help asking myself what grade I would have given you had you made your presentation in one of my classes. The answer, I regret to say, is C-, hovering very near a failing D+. Why? To your credit, you began by placing Japan’s wartime actions within the historical framework of Western colonialism “stretched out across the world.” Not only is this accurate but, it can be argued, the Western powers have yet to fully recognize and apologize for their own exploitation of colonized peoples. But then, Prime Minister Abe, you began to lose the plot. True, you mentioned that Japan modernized as a result of the threats it faced while successfully maintaining its independence. However, you completely failed to mention the first Sino-Japanese War of 1894-5, which turned Japan into a colonial power, forcing China to cede territory to its neighbor “in perpetuity,” Taiwan included. Once victory was assured, Japan unilaterally took possession of the Senkaku Islands on Jan. 14, 1895. Additionally, Japan, just like its Western counterparts, enjoyed “the spoils of war” in the form of Chinese war reparations worth 34 million taels (13,600 tons) of silver, equivalent to more than six times the Japanese government’s annual revenue at the time. Japan next joined the Western colonial powers in suppressing the Boxer Rebellion of 1900, an early expression of nascent Chinese nationalism. Japan’s contribution of 20,840 troops was greater than any of the other seven allied Western powers. The irony of this effort was that the Boxers’ slogan, “Support the Qing government and exterminate foreigners,” was the Chinese equivalent of the slogan that had earlier sparked the Meiji Restoration, “Revere the Emperor, drive out [Western] barbarians” (Sonnō, jōi). For a second time, Japan enjoyed, together with its Western allies, its portion of an indemnity of 450 million taels of silver — more than China’s annual tax revenue — staggered over the next 39 years, with interest. 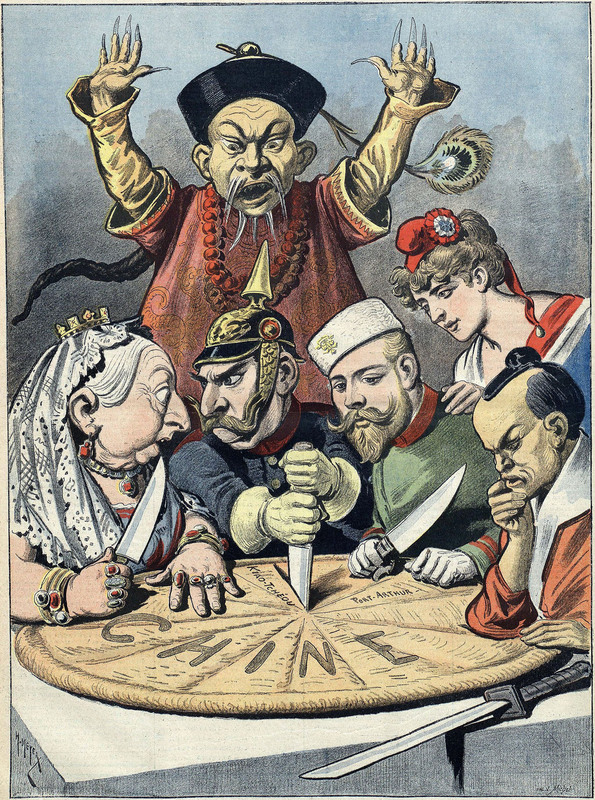 It was clearly lucrative to be allied to Western colonial powers, despite the constant rivalry between them over “spheres of influence” in Asia. Although Japan’s victory in the Sino-Japanese War ended China’s influence in Korea, there was still one mighty contender to deal with: Imperial Russia. Thus, Prime Minister Abe, it was completely appropriate for you to mention the Russo-Japanese War of 1904-5, a conflict in which Japan once again emerged victorious. And yes, as you noted, some Asian countries did initially welcome Japan’s victory as that of fellow Asians over a white imperialist power. Yet there was a crucial gap in your narrative. You forgot to mention that Japan used gunboat diplomacy to force Korea to sign the Japan-Korea Treaty of 1876. This unfair pact opened up Korea in much the same way U.S. Commodore Matthew Perry’s black ships had opened up Japan in 1853, granting Japanese many of the same rights in Korea that Westerners enjoyed in Japan, including extraterritoriality. 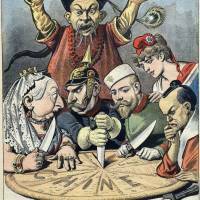 From this date Japanese intervention in Korea’s affairs only escalated until, in the immediate aftermath of Japan’s victory over Russia, Japan forced Korea into protectorate status, taking over its foreign affairs in November 1905. It was then that Japan declared the Liancourt Rocks (aka Dokdo/Takeshima) to be Japanese territory — yet another trophy taken from a country unable to object. Finally, in 1910, Japan colonized Korea in its entirety. I realize, Prime Minister Abe, this history may seem irrelevant to you. Yet, it contains the origins of two ongoing conflicts over land between Japan and its nearest neighbors, China and South Korea. These conflicts, especially in the case of the Senkakus, still have the possibility of sparking a major conflict. More importantly, this history raises a critical question: When will Japan recognize that despite its location in East Asia, with a culture deeply influenced by its neighbors, it nevertheless has a modern history of allying itself with the very Western powers that once threatened its independence? True, during World War II Japan fought these same Western powers, but only in hopes of expanding its own colonial empire. In essence, WWII in Asia was like a contest between rival Mafia cartels, all seeking to protect if not expand their colonial rackets. Perhaps now, Prime Minister Abe, you can understand why I was forced to give you a borderline failing grade. I can but express the hope that Japan will one day end its current role as “sidekick” of the U.S. — and its China containment policy — and find its rightful place as an integral and equal member of the Asian community of nations, starting with its neighbors.